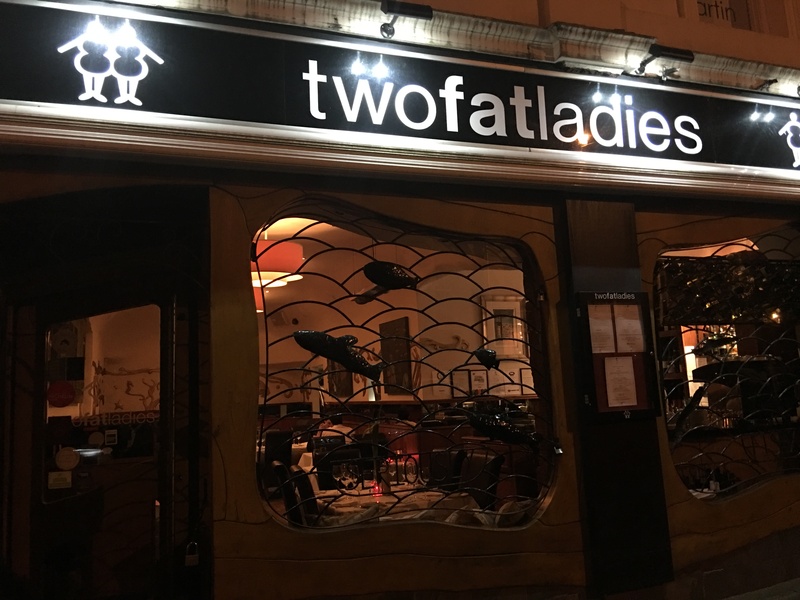 I saw that Two Fat Ladies was a popular restaurant, ranked very highly, in Glasgow. 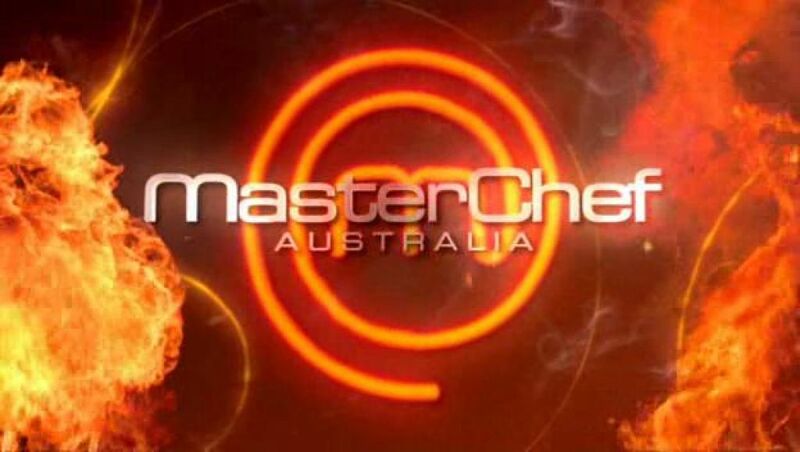 My first thought was that it was the restaurant of Clarissa Dickson Wright and Jennifer Patterson, from the UK cooking show from 1996-99. 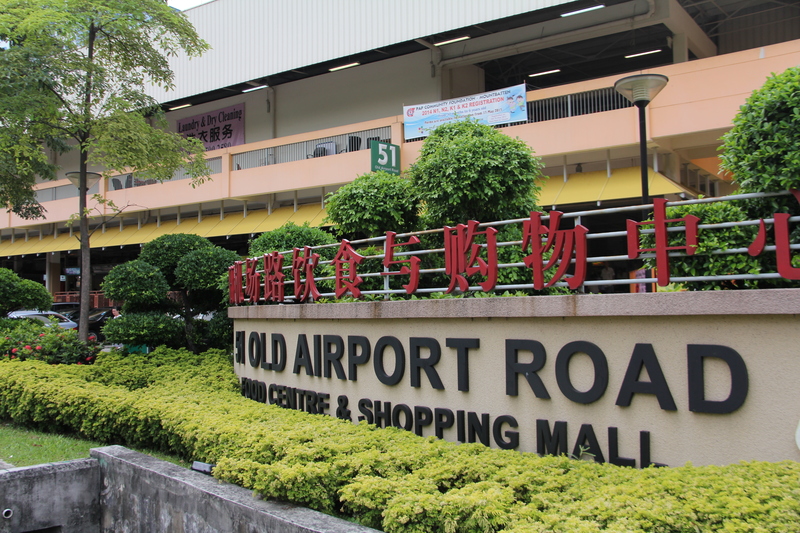 You remember right? They rode around on a motorcycle with a caboose and made stuff that was fattening as anything? But I was wrong. 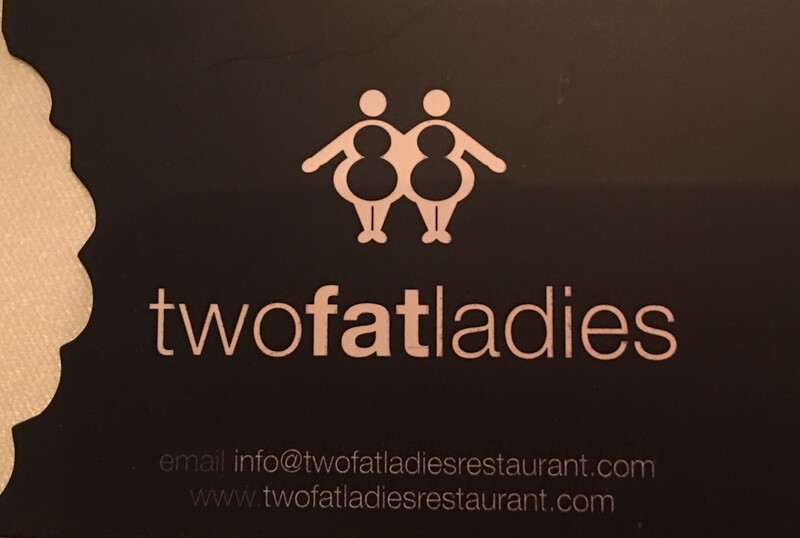 This restaurant is named this because the address of the original restaurant was 88 Dumbarton Road, and the logo resembled two fat ladies! Backstory out of the way, we decided to go to the one closest to the city centre, since that’s where we were staying before and early morning flight. It’s located about a 5 minute walk from Buchanan Street, but very close and an easy get to. It’s quite cosy inside, I would say there are about 30 covers at the most at one time. Two Fat Ladies is known for fish. All different styles and they do it well. 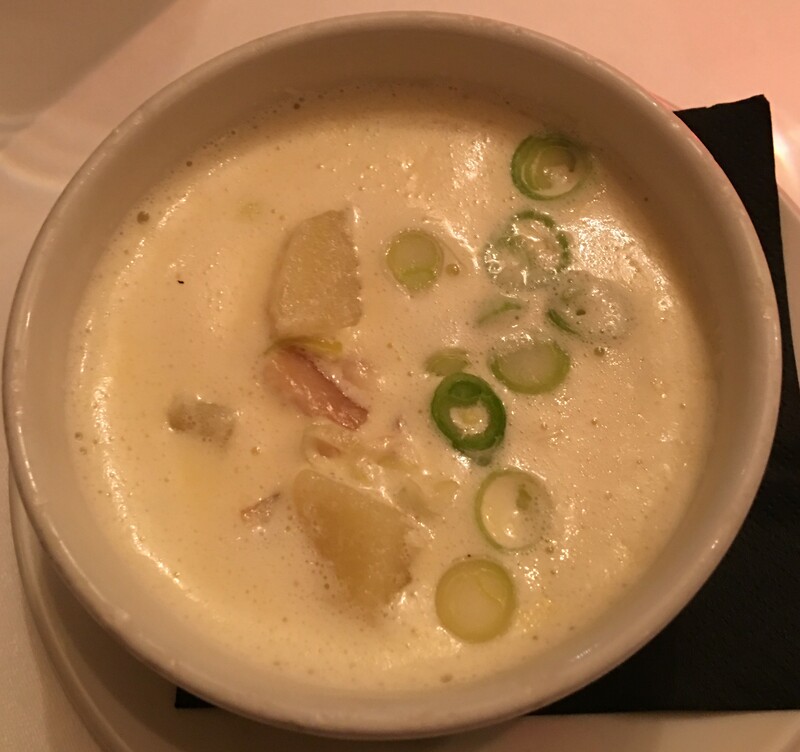 I started out with a Cullen Skink. This is Smoked Haddock and Potato Soup, which is cream-based. Quite tasty and not as salty as I thought it would be. 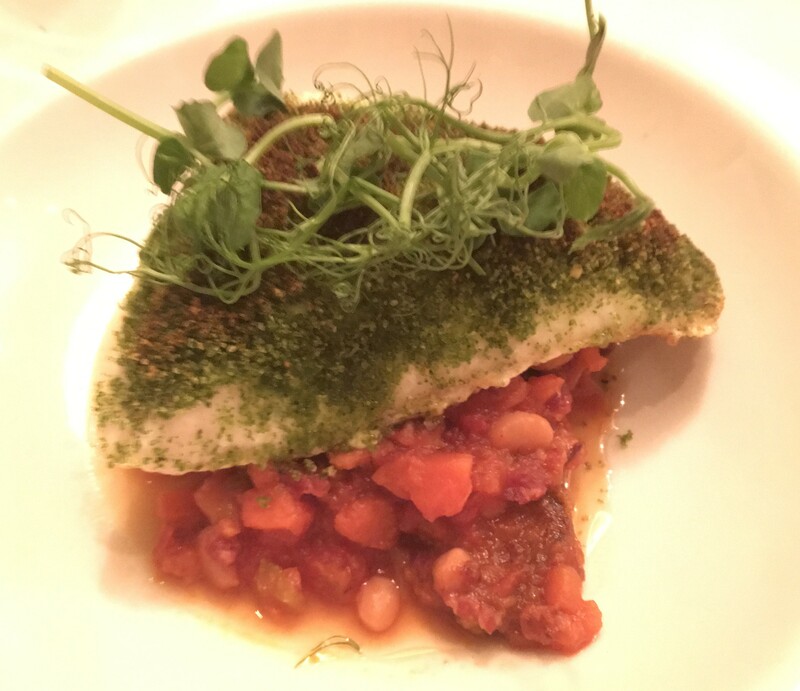 I wanted something local, so I went with the North Atlantic Halibut with Lemon and Coriander Crust on top of Tomatoes and Beans. The fish was cooked absolutely perfectly, and just full of flavor. They know how to cook their fish! My colleague for the Sole, no pic, sorry, but it looked absolutely amazing as well. If you want fresh, local fish cooked perfectly, this is definitely a place to go in Glasgow. They have 4 locations. Posted in Fish, GlasgowTagged Fish, GlasgowBookmark the permalink.